Suffering from a painful foot condition can make it difficult to get around and enjoy regular daily activities. The good news is that you can visit your podiatrist in Sammamish to treat some of the more difficult cases of plantar fasciitis. Platelet-rich plasma therapy is an option that works via injection directly to the foot. This process uses both platelets and plasma from the patient’s own blood. When injected, the substance helps to promote inflammation which allows for vascular healing as well as connective-tissue growth. This treatment option works opposite cortisone injections, which are generally designed as a way to cut back on inflammation. Depending on the individual, certain non-surgical or surgical approaches may not be effective. You could also be a patient that wants to try to avoid invasive surgical procedures at all costs. Some may also find a combination of standard treatment and injection therapy is the best course of action. Plantar Fasciitis is a type of condition that comes from inflammation around the connective tissue that comes up from the heel and ball of the foot. The plantar fascia swelling and discomfort can then create a good amount of stress on the bottom area of the foot, making it difficult to enjoy regular activities and getting around in general. Most patients will also note having a sharp pain in the heel of their foot when they step after resting for a while. Standard plantar fasciitis treatment may include stretching exercises, rest, better arch support, steroid injections, anti-inflammatory drugs, shockwave therapy, and surgery. If you have tried these avenues without results, talking to your podiatrist about platelet-rich plasma therapy could be the answer you have been looking for. If you are looking to find relief from plantar fasciitis pain and you do not want to think about surgical intervention, visit Mill Creek Foot & Ankle Clinic to learn more about starting platelet-rich plasma injections. Visit your podiatrist in Sammamish for help with platelet rich plasma treatments for foot pain relief. 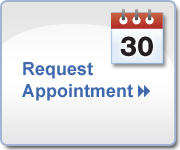 Call Dr. Hansen at (425)375-2484 or Dr. Hall at (425) 482-6663 for an appointment.